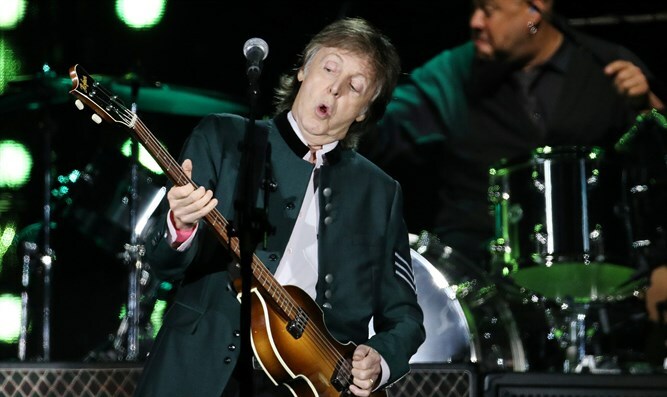 Paul McCartney says iconic ‘Hey Jude’ song was never meant to be offensive. In 1968, The Beatles put the title to their upcoming single, “Hey Jude,” on the front of their record label’s boutique store in London. The idea was to intrigue passersby before the release, Paul McCartney told GQ in a new interview. However, the song’s name didn’t go over well with everyone. McCartney said a furious Jewish man called him up about the name (because this was the ’60s, when celebrities were apparently reachable by phone) and threatened to send his son over to beat the Beatle up. The word “jude” (Jewish in German) conjured up bad memories in the post-Nazi era, and Jews in London had enough to deal with, the man fumed. McCartney explains in the video that the song was originally titled “Hey Jules,” a reference to John Lennon’s son Julian. McCartney was feeling bad for young Julian at the time, just after Lennon had divorced his first wife Cynthia Powell. But in the end, he just liked the name Jude better. These days, McCartney sees the iconic tune, which he plays at every one of his concerts, as a way of bringing people together. “In these times, when it’s a little dark and people are sort of separated by politics and stuff, it’s so fantastic just to see them all come together singing the end of ‘Hey Jude,’” he said.